It’s week 37 and like our tradition, we are going to be giving you our top 5 songs of the week. We have enjoyed so far your choices for the recent past weeks and that is why the chance for you to choose the top 5 for week 37 has again been decided. 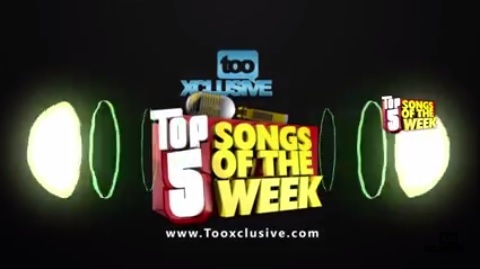 You would vote your top 5 songs from a list of 16 songs below and the highest voted 5 songs will be our top 5 for this week. 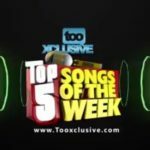 On this week’s list of songs to vote from are Mavin Diva, Tiwa Savage’s “Lova Lova” ft Duncan Mighty, alongside Veteran, 2baba’s “Amaka” ft DMW’s rave of the moment; Peruzzi. 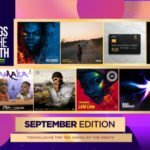 Also on the list are Olamide’s “Motigbana”, Wizkid’s most recent single; “Fever”, Chinko Ekun’s “Able God” ft Zlatan Ibile and Lil Kesh, Victor AD’s “Wetin We Gain” and Barry Jhay’s “Aiye”. 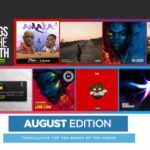 Other songs on this week’s list are DMW CEO; Davido’s “Nwa Baby” and “Aza” featuring Peruzzi and Duncan Mighty which have recently been consistent on our lists, as well as another DMW act; Dremo’s Kpa ft Davido. 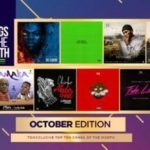 There are entirely new entries from Burna Boy, Tekno, Larry Gaga, Skepta and Niniola with “Gbona” & “Ye”, “Choko”, “Baba Nla”, “Bad Energy” and “Bana” respectively.